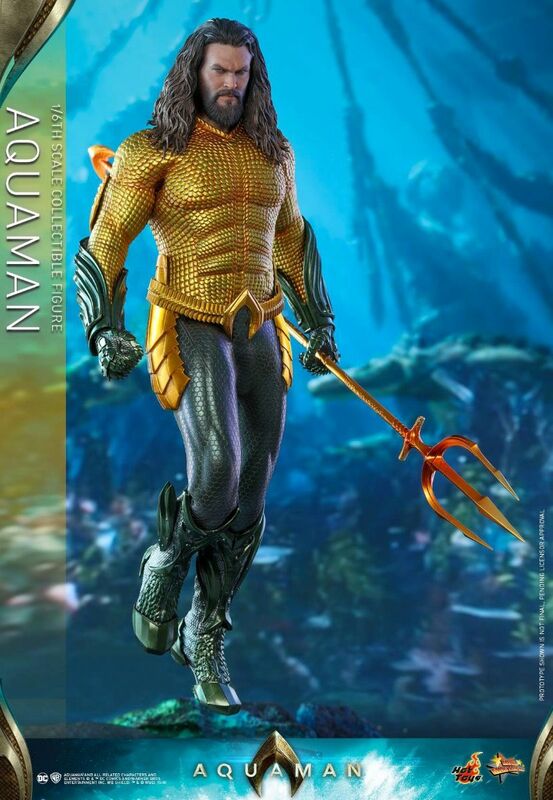 Arthur Curry, a half-Human and half-Atlantean, learns that he is the heir to the kingdom of Atlantis. 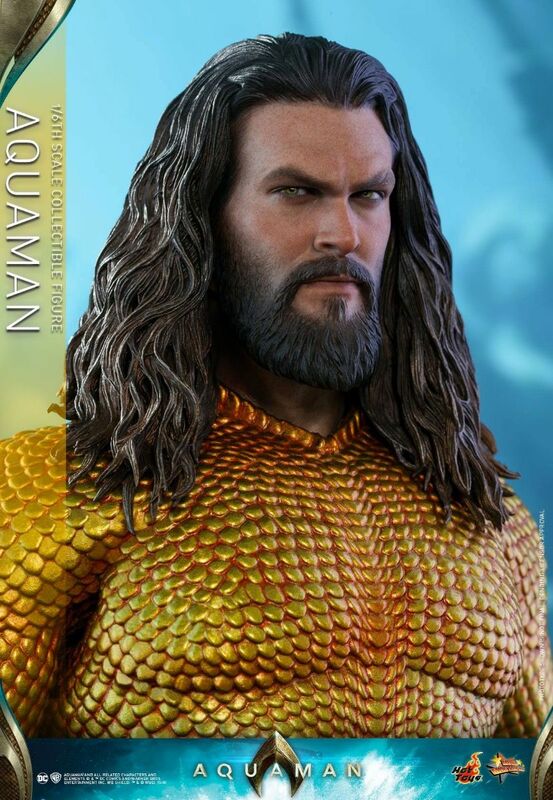 With his superhuman strength, he must now step up to lead his people and stop an all-out war between the seas and the surface world. 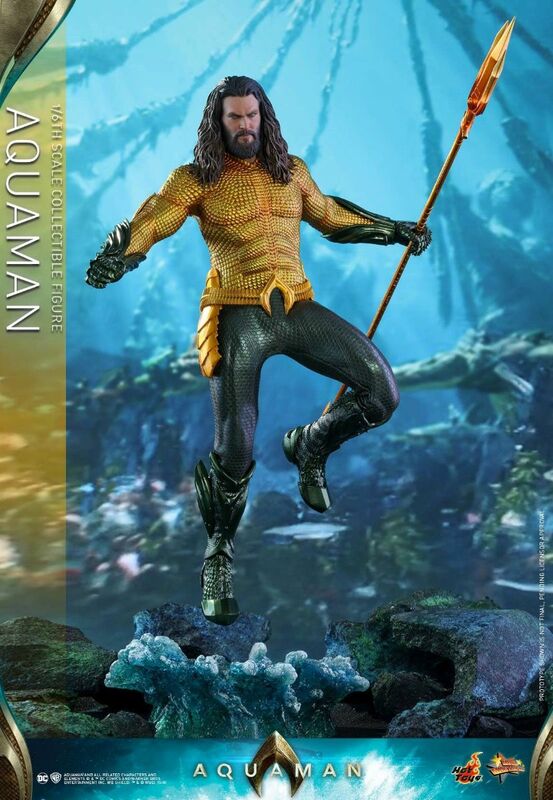 Inspired by one the most eagerly awaited blockbusters from the DC Extended Universe, Hot Toys is thrilled to introduce the 1/6th scale collectible figure of Aquaman wearing his iconic outfit! 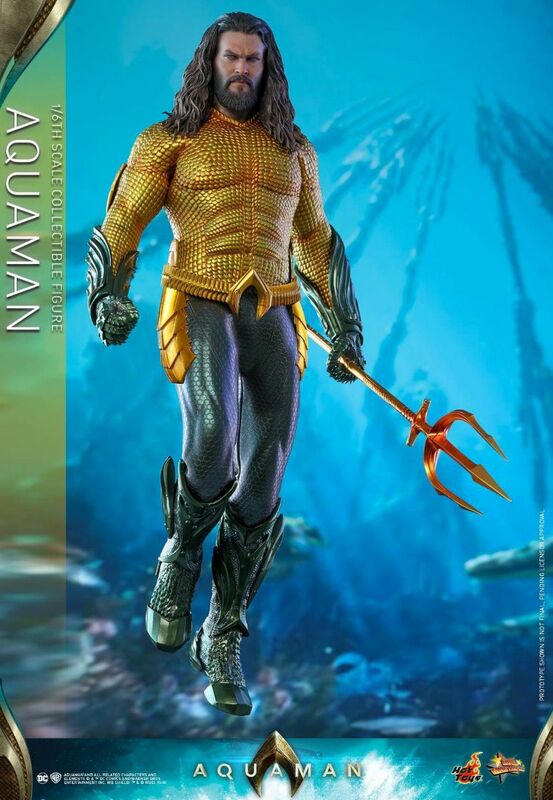 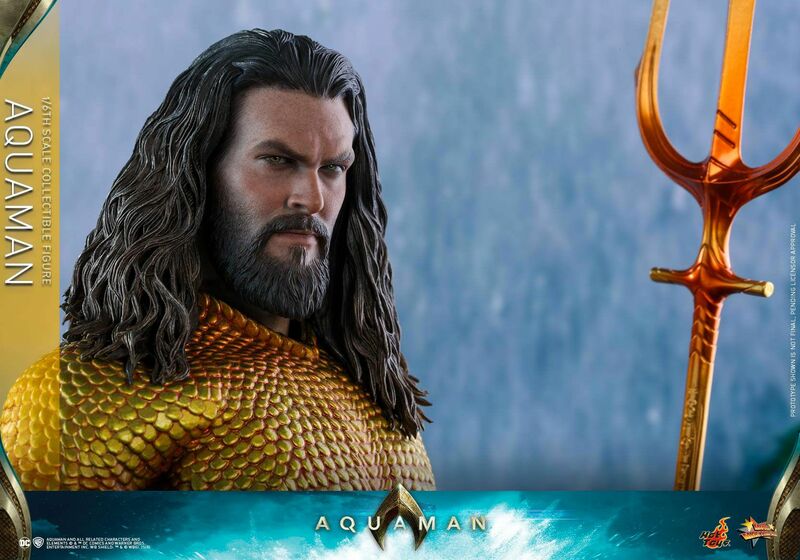 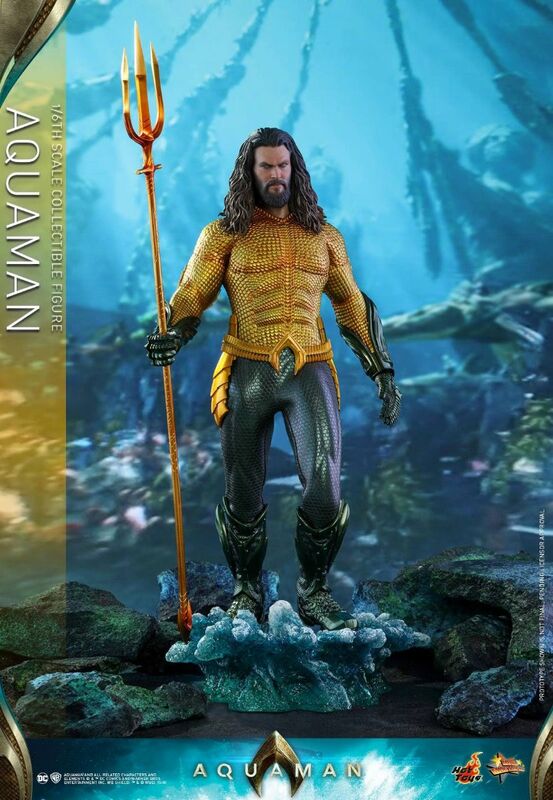 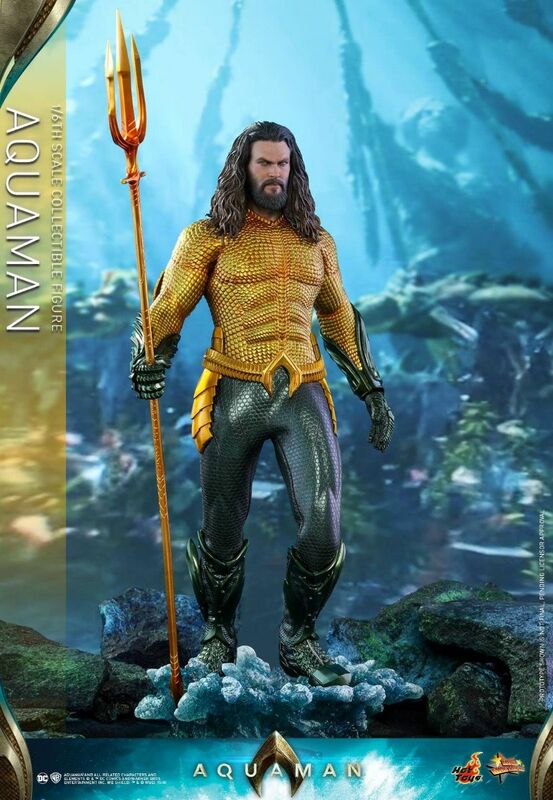 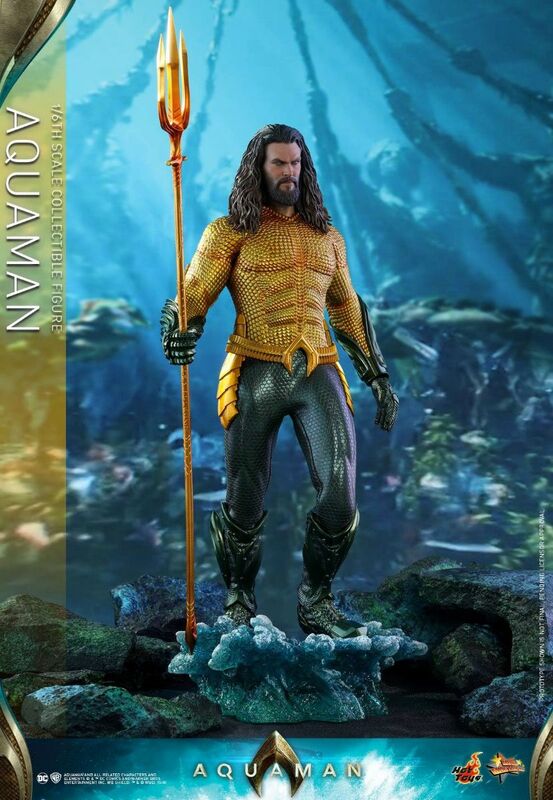 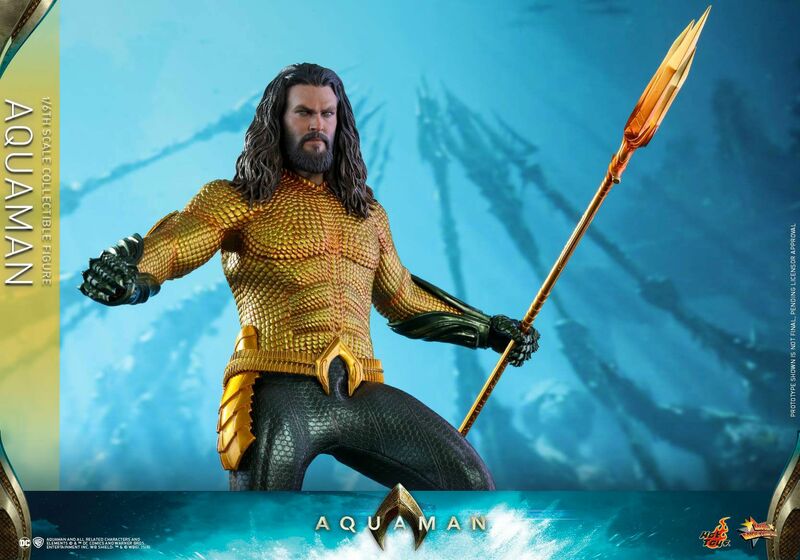 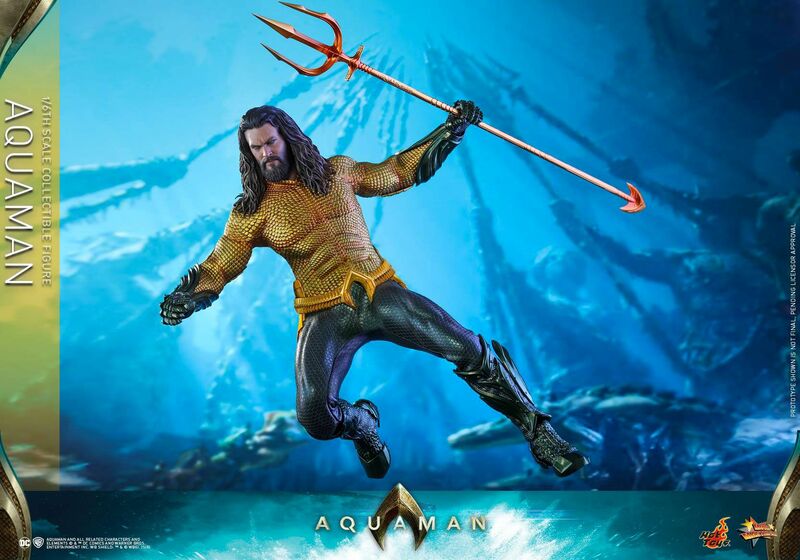 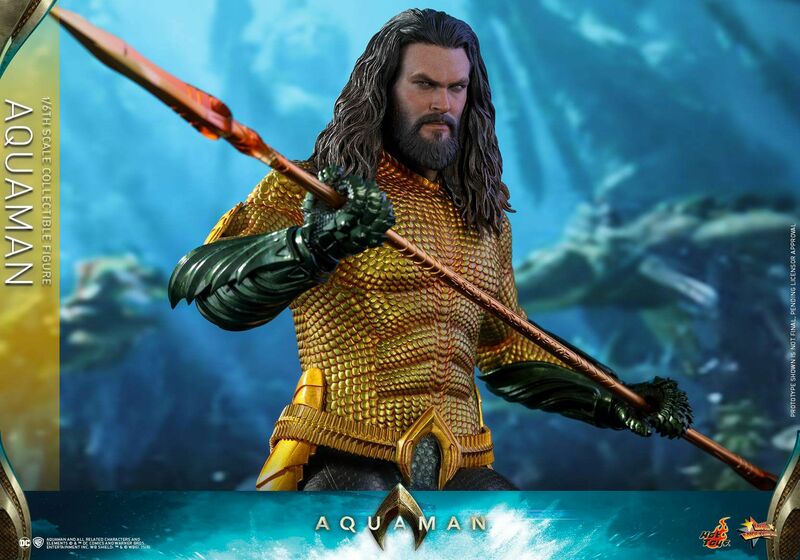 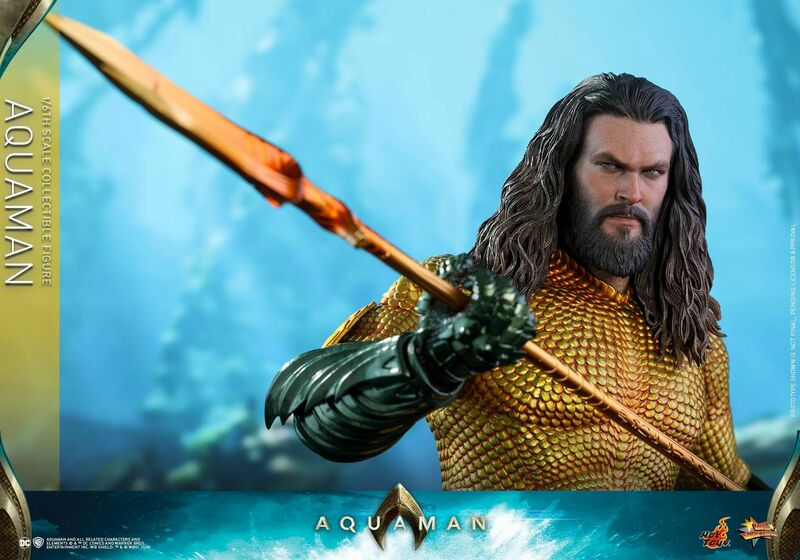 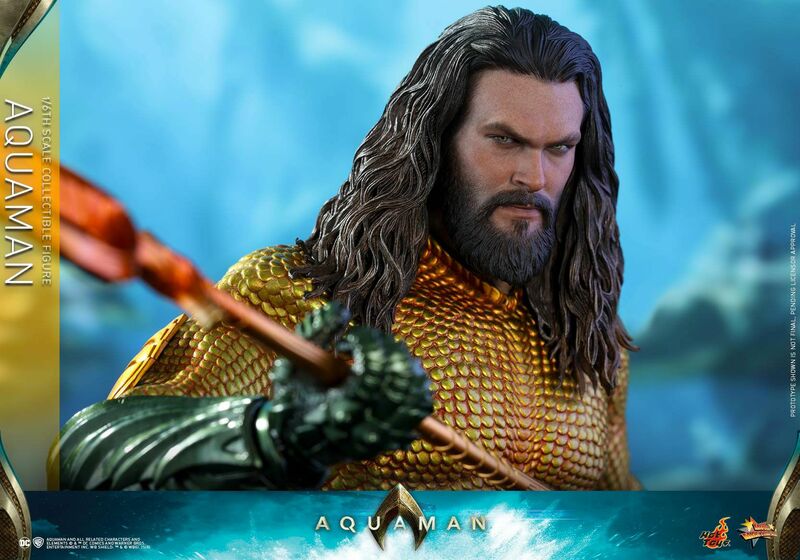 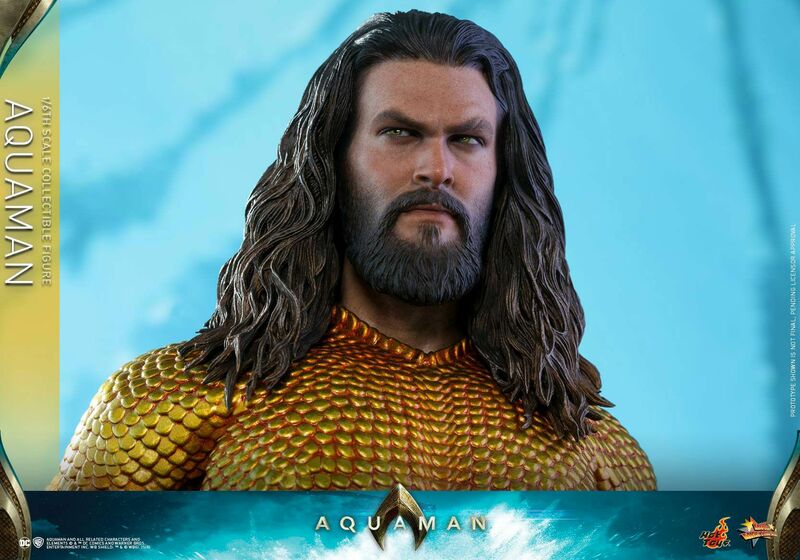 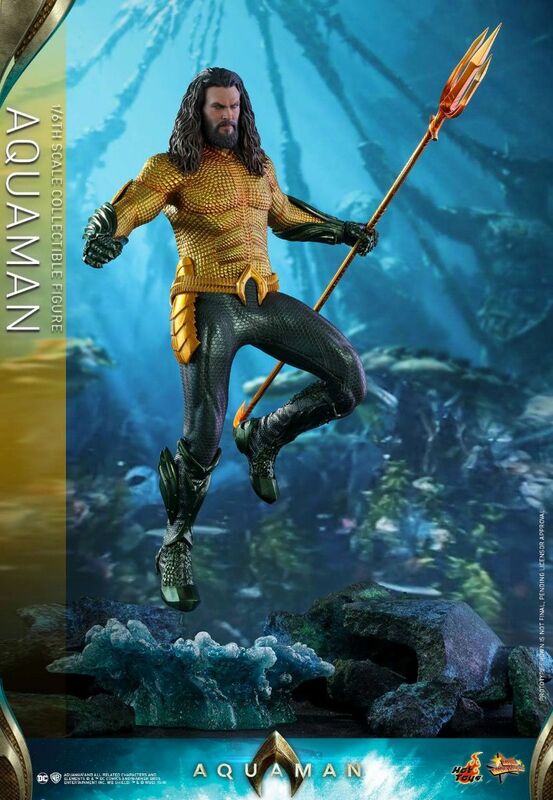 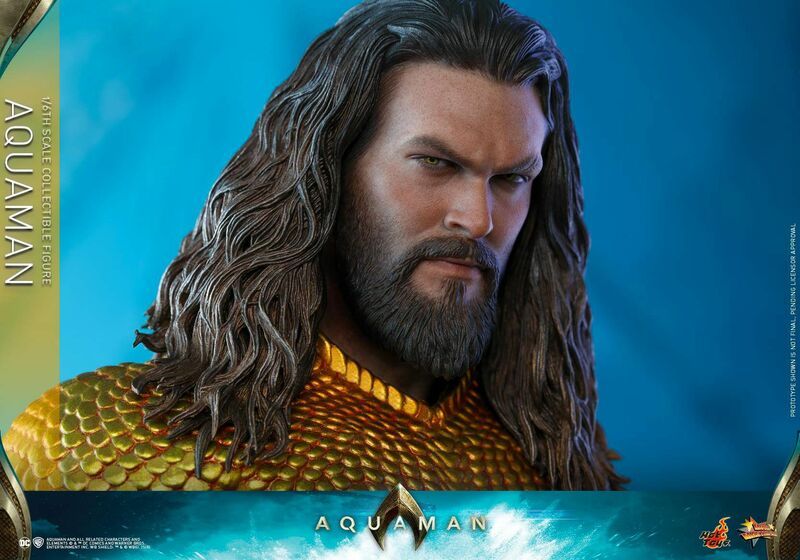 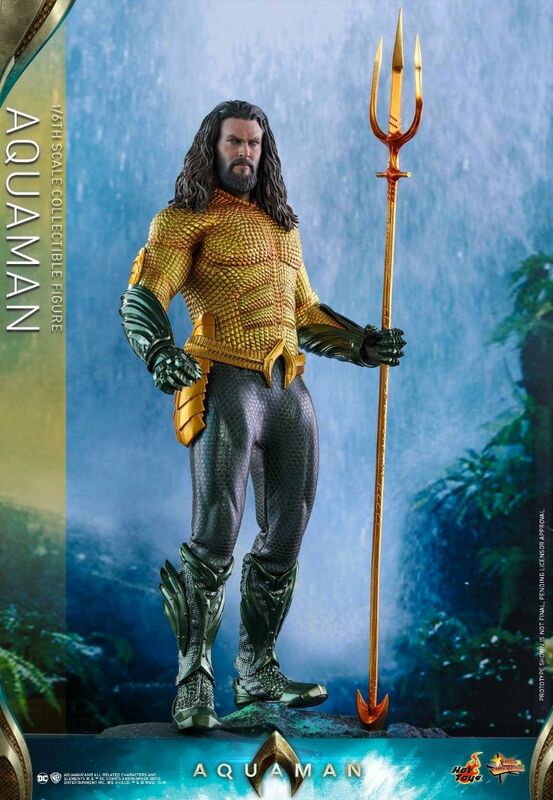 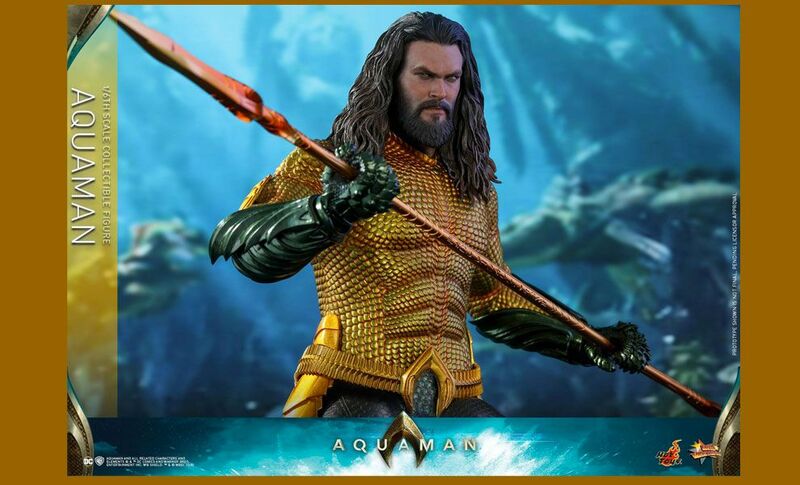 The movie-accurate collectible figure is meticulously crafted based on the appearance of Jason Momoa as Arthur Curry/Aquaman in the movie of the same title, including a newly painted head sculpt with detailed long hair sculpture, a specialized body portraying Aquaman’s muscular body with enhanced articulations, a classic Aquaman costume with the signature gold and green color scheme, a highly-detailed Trident, and a specially designed dynamic figure stand features ocean themed diorama! 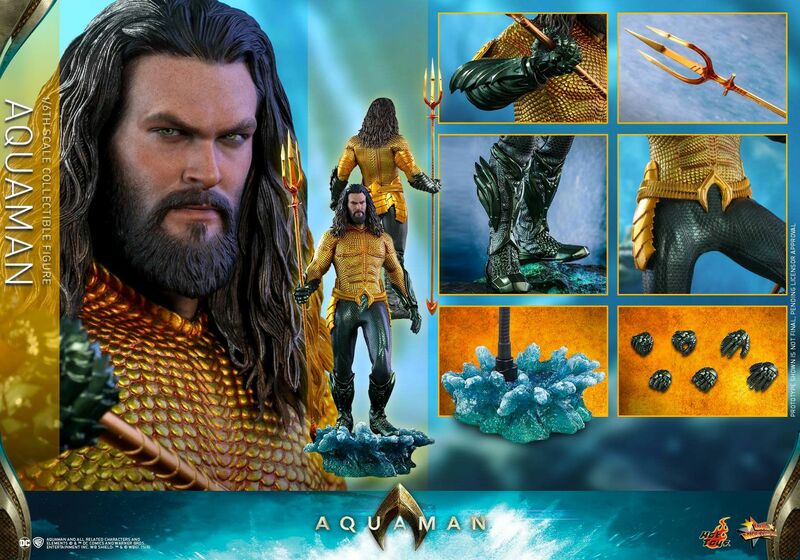 Atlantis is rising. 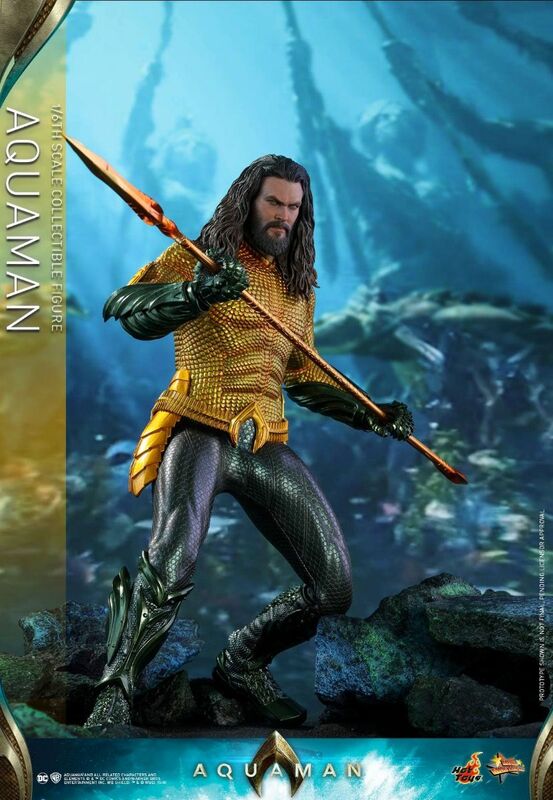 This most recognizable hero from the underwater will become a dramatic centerpiece in your DC Comic collection!